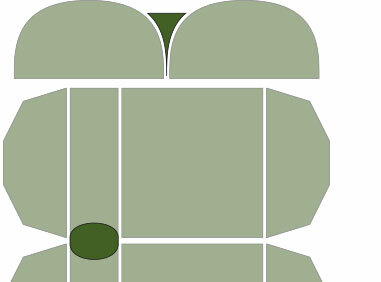 How do I say Stalon? 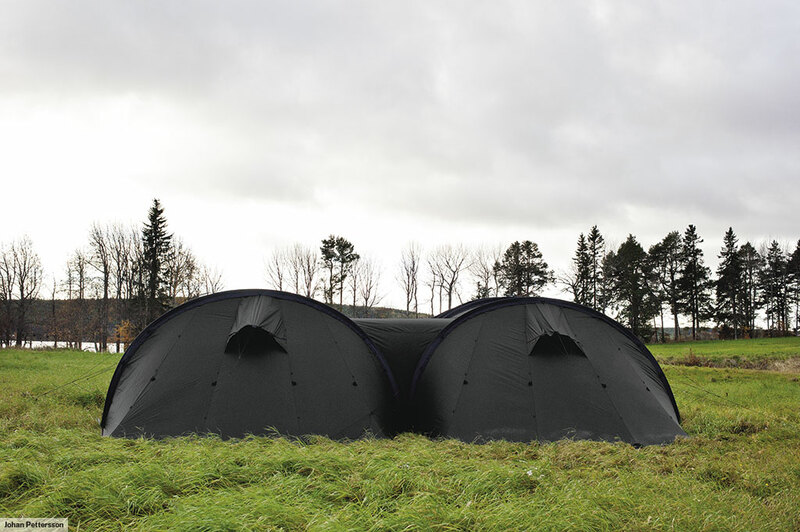 * The Stalon XL Basic includes one Main Roof, one Extension, two Vestibules, ten poles, attached guy lines, 44 X-Pegs, and the Stalon XL Carrier Bag. 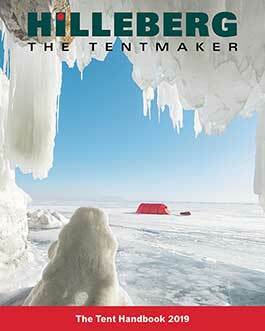 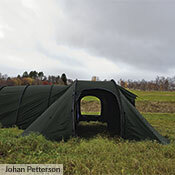 Inner Tent is not included. 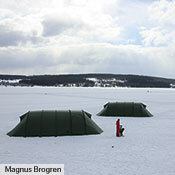 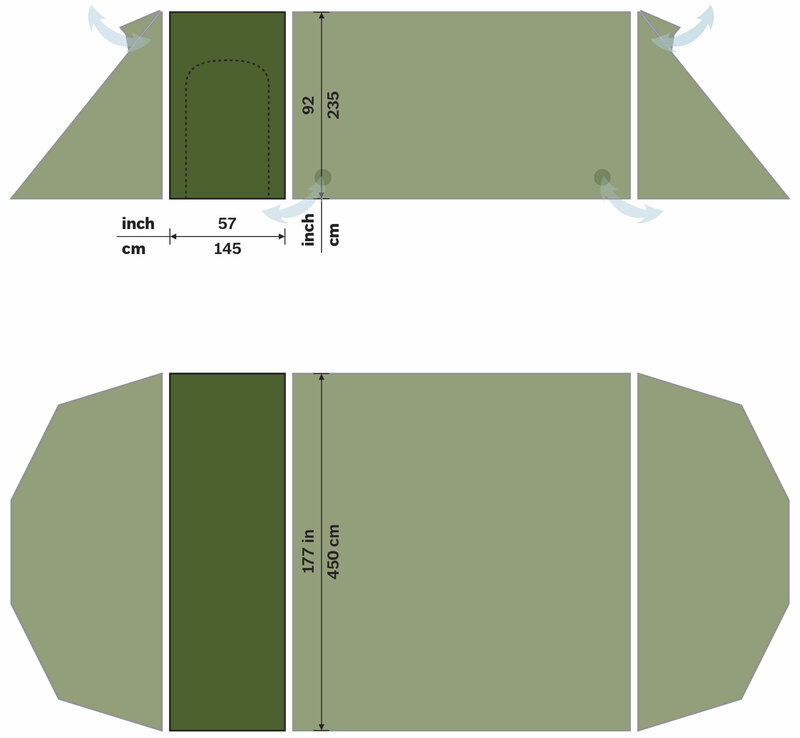 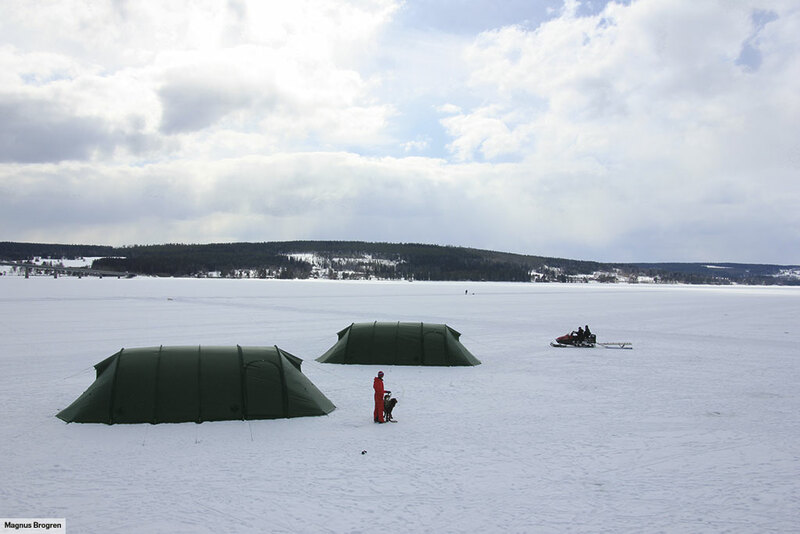 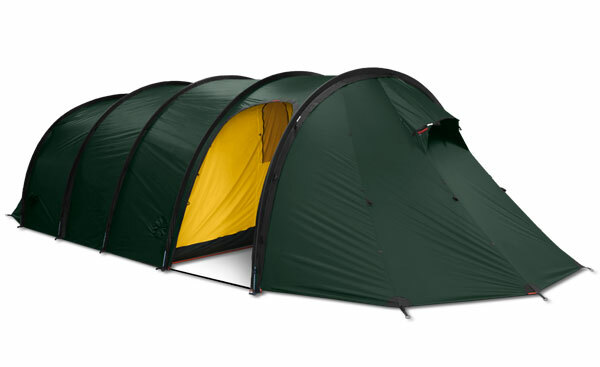 The Stalon XL is a very large, robust, modular tunnel tent that is fully capable of all season, all condition use. 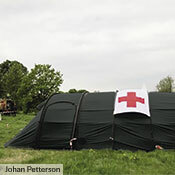 It is also surprisingly easy to set up, and it can be erected by one person in good weather. 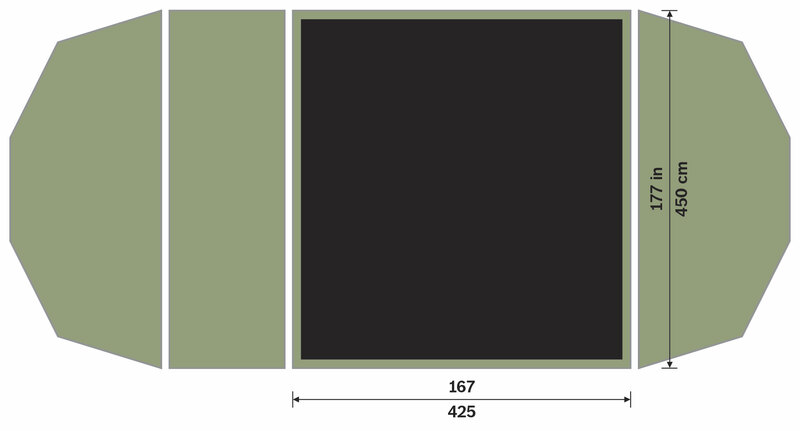 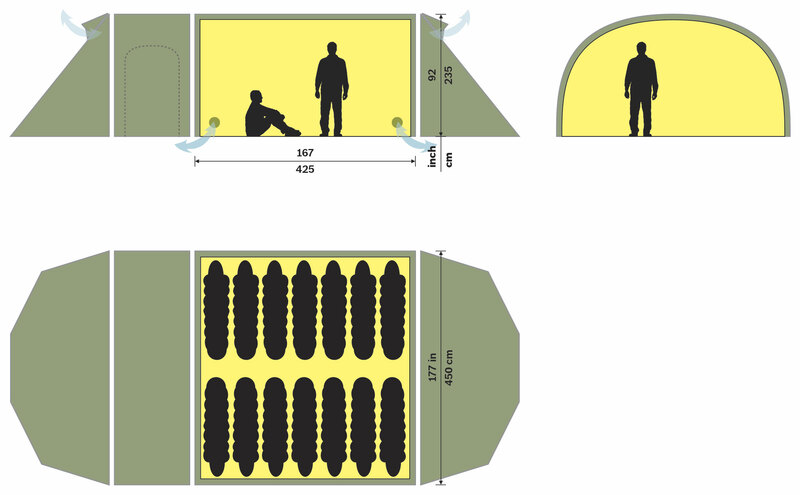 Designed with professional use in mind, the Stalon XL can be configured in nearly endless ways. 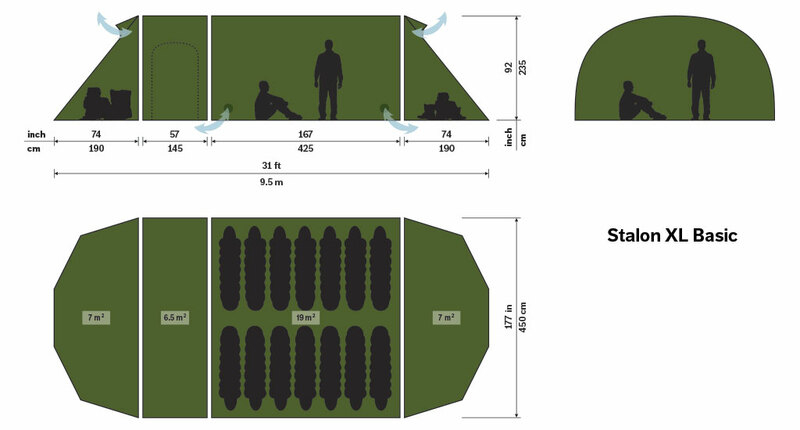 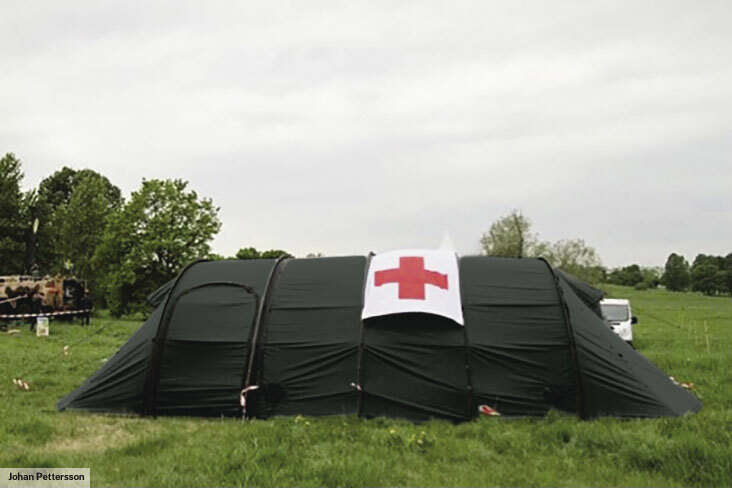 It can serve as a classroom for adventure outfitters; a mobile medical station, command center, or staging/briefing room for search and rescue teams; or as a field dormitory for any large group. 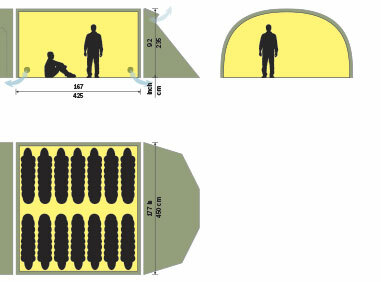 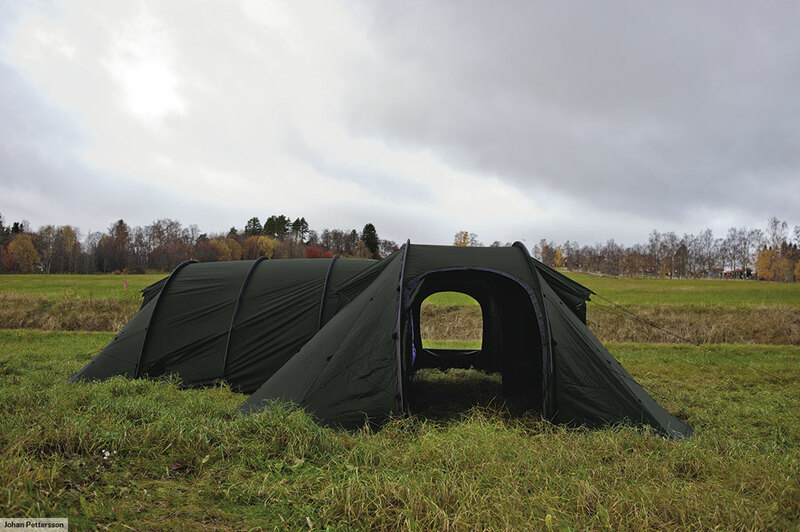 Each module of the tent can be zipped on or off to accommodate the needs of the user, and multiple modules can be easily connected or disconnected as necessary. 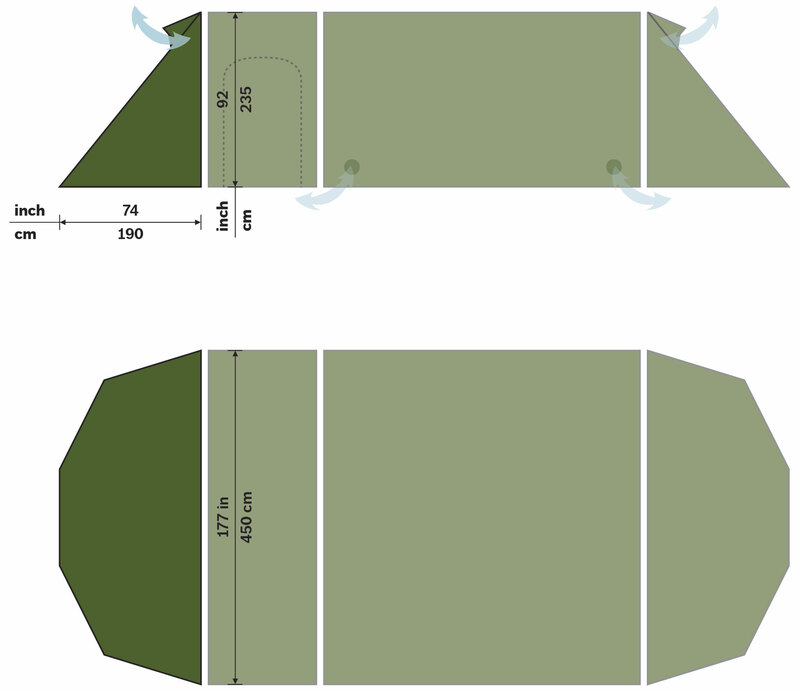 The Basic version includes two Vestibules, each with two large doors; a large Main Roof, or mid-section, which has “bag” opening vents to accommodate ducting for hot or cold forced air systems; an Extension with two large, zipper doors; poles and pegs; and a Carrier Bag, which will hold all components and is designed to be carried as a backpack. 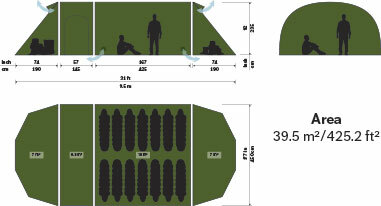 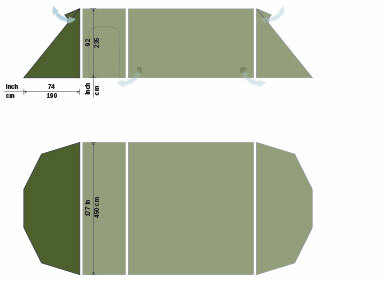 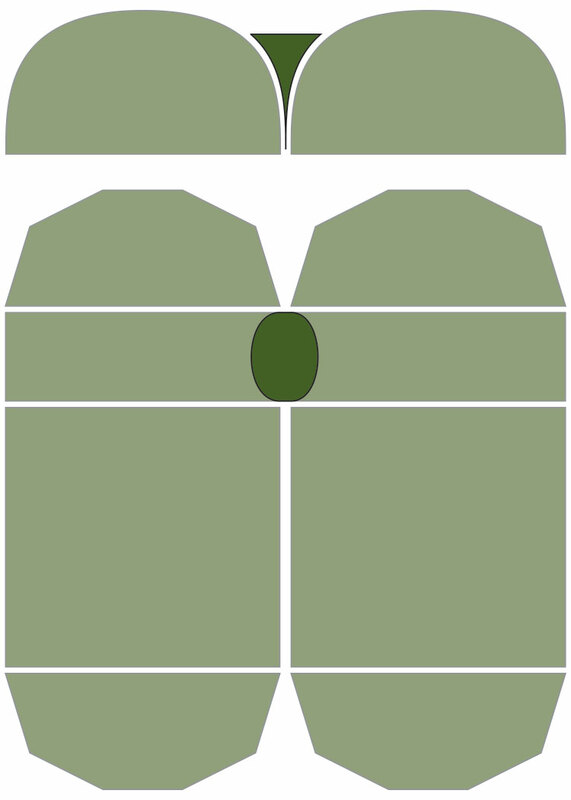 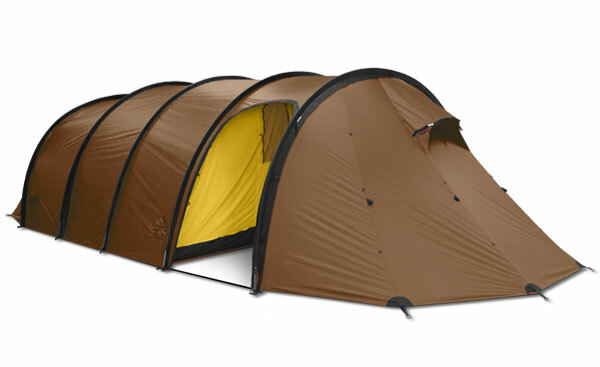 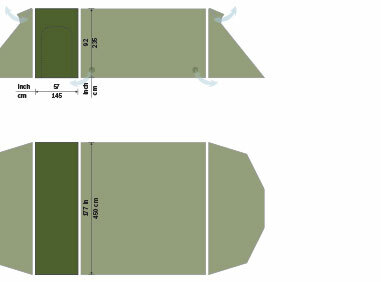 The optional standard Inner Tent connects to the Main Roof, sleeps up to 14, and has venting that mates with that of the Main Roof. 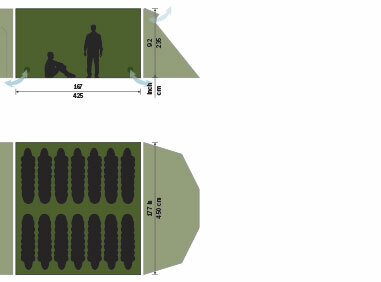 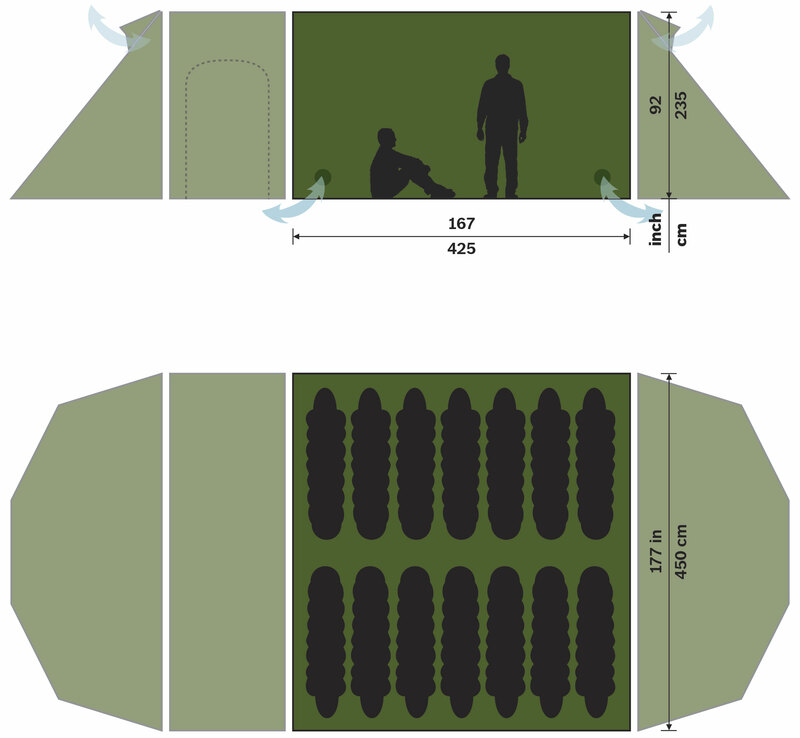 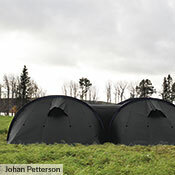 The optional Connector enables multiple tents to be linked at the Extension doors. 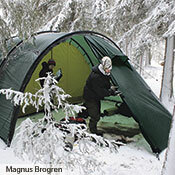 “Stalon” comes from “Stalo,” which, in the mythology of the Sami , the indigenous people of Scandinavia, is a race of giants. 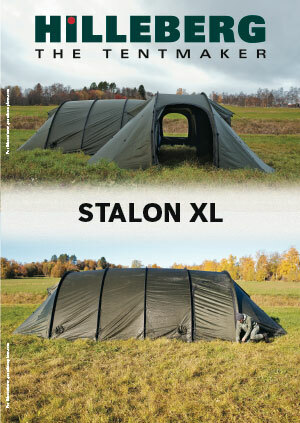 The Stalon XL Basic includes one Main Roof, one Extension, two Vestibules, ten poles, attached guy lines, 44 X-Pegs, and the Stalon XL Carrier Bag. 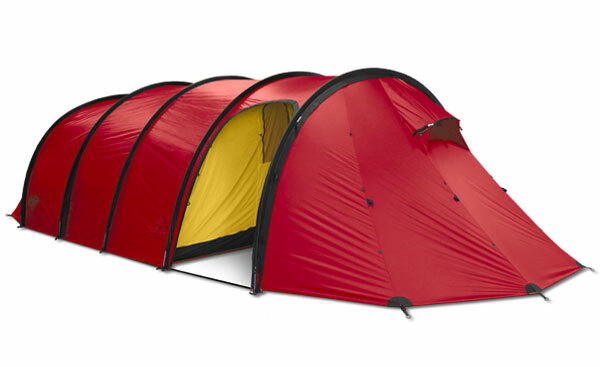 Inner Tent is not included. 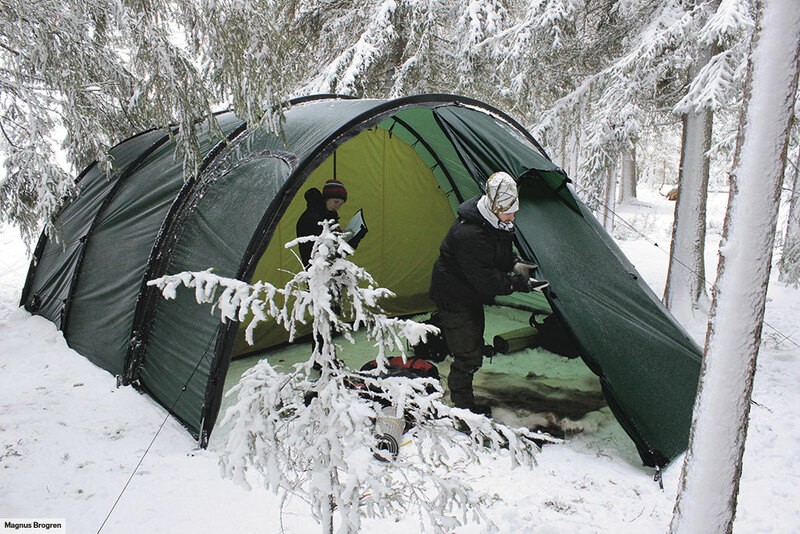 Every new tent includes enough pegs to pitch it, but a spare peg or two can save you the frustration of losing one in the middle of a long trip. 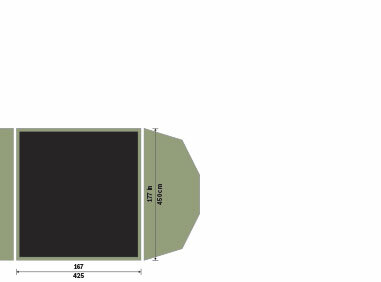 So-named for its fluted square cross-section, our new X-Peg is built from extruded, then anodized, aluminum, and is designed to take on the most demanding usage. 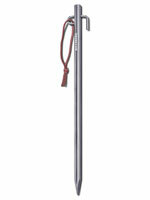 The X-peg’s 30 cm (12 in) length and burly construction make it an ideal option when you need maximum penetration and holding power in hard ground, and it is stout enough to be hammered into the ground, even with a light sledge. 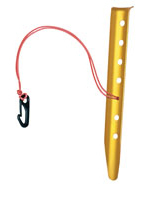 An open, upside down “L” hook near the top of the peg allows quick securing of guy lines, and a separate closed ring has an attached string loop to make removing the peg easier.